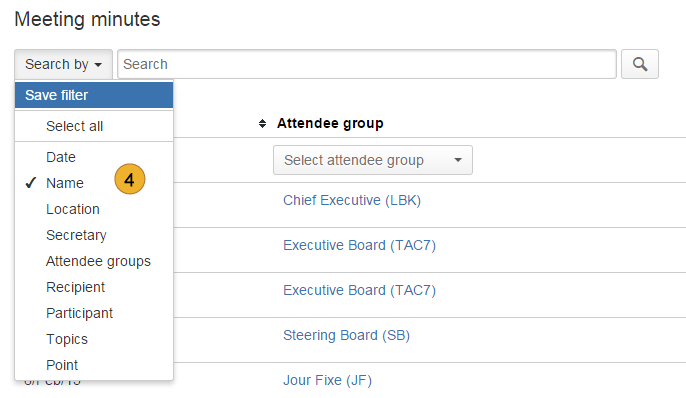 When the plugin is installed and activated menu link “Meeting minutes” 1 appears in the main menu on the top of the screen. It contains links to the last visited meeting minutes 2 and below them a link to the meeting minutes overview page 3 where one may define the search and filter criteria 4. 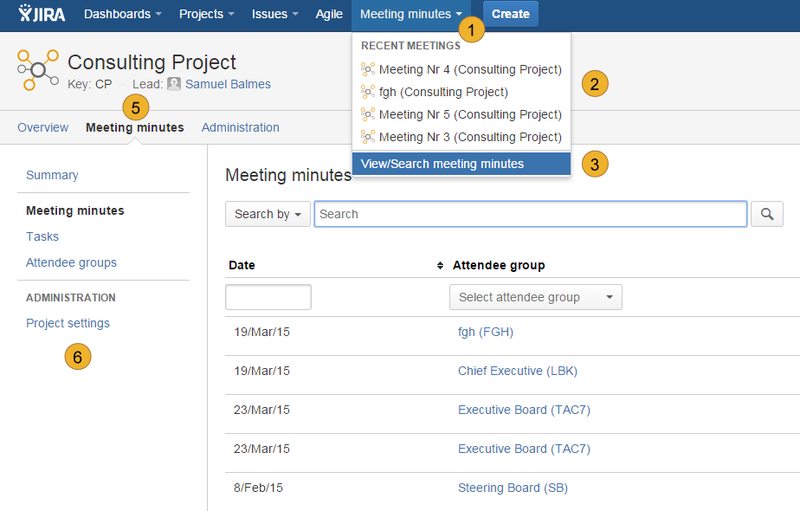 A sub-menu 5 appears below the project header and contains links to the project overview, meeting minutes and administration. After selecting of one of these you will see a vertical menu on the left side of the screen 6 which is specific for each item of sub-menu.